Price listed for single tire. Available in multiple sizes. 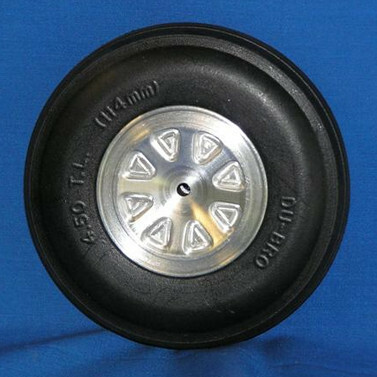 6061-T6 Aluminum Machined Wheel with Spoke Design. 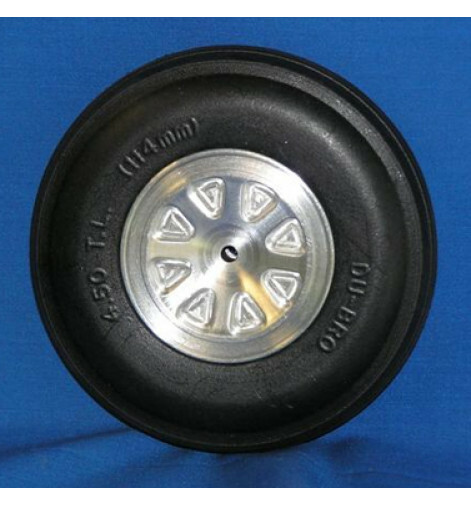 Treaded Lightweight tires are substantially lighter than other aircraft tires available. These lightweight tires feature a foam interior yet have a tough and rugged exterior skin for durability. Excellent for paved runways! One per order. Available in multiple diameters/widths.